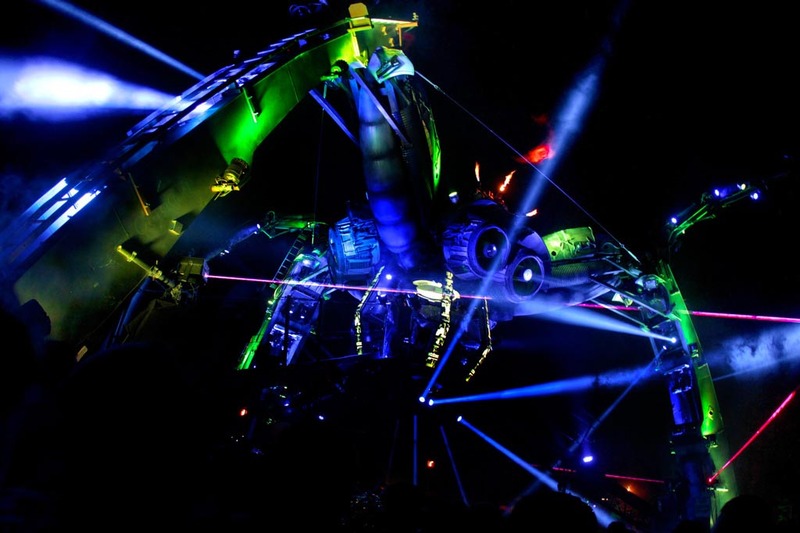 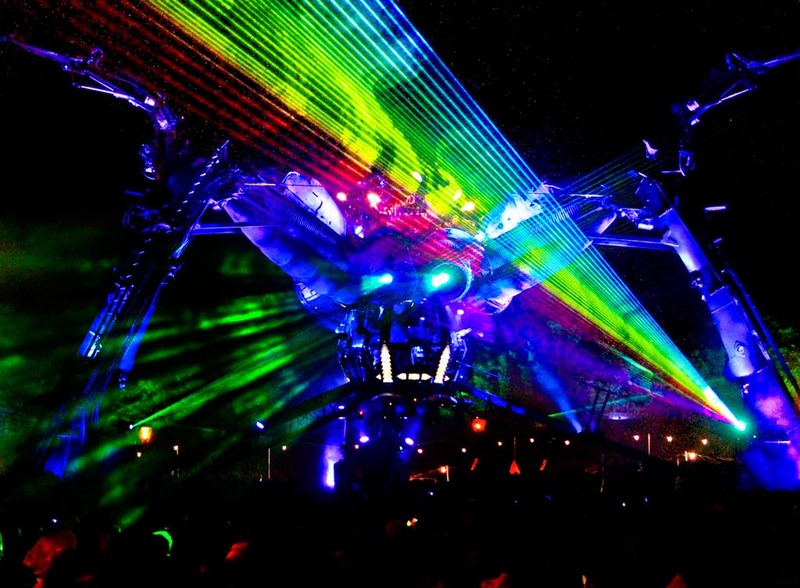 Arcadia in the UK stands for breathtaking show experiences, huge stages and amphibious sculptures. 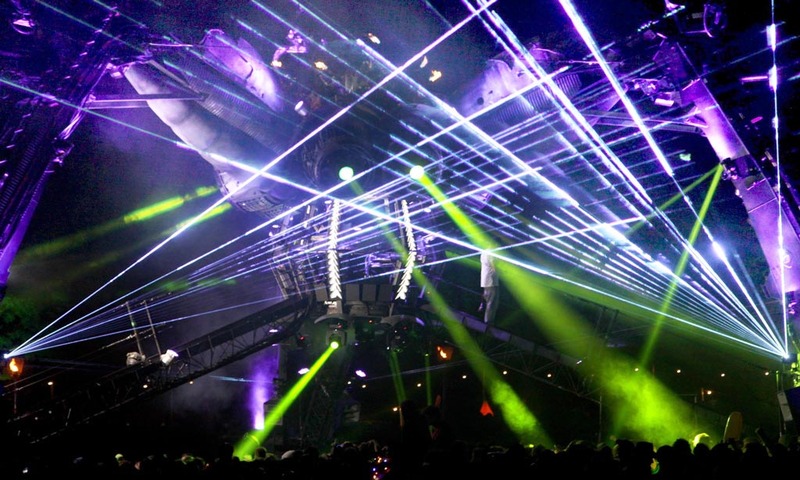 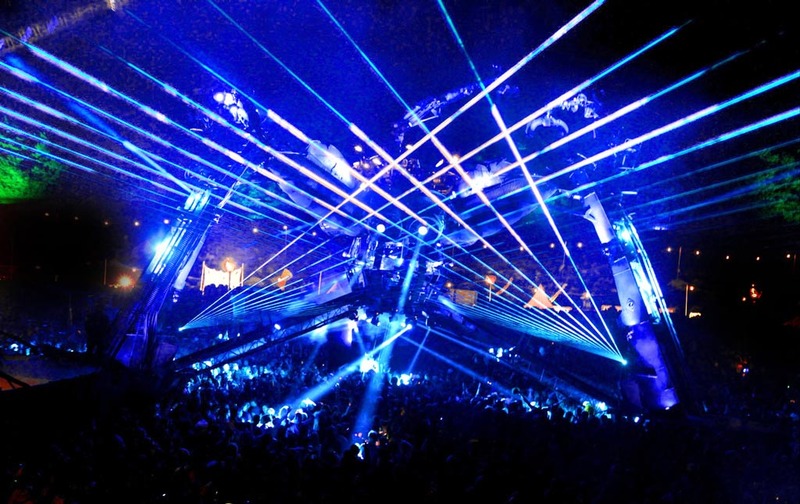 Their shows combine laser and lighting effects, pyrotechnics and sound with audacious artistic performances. 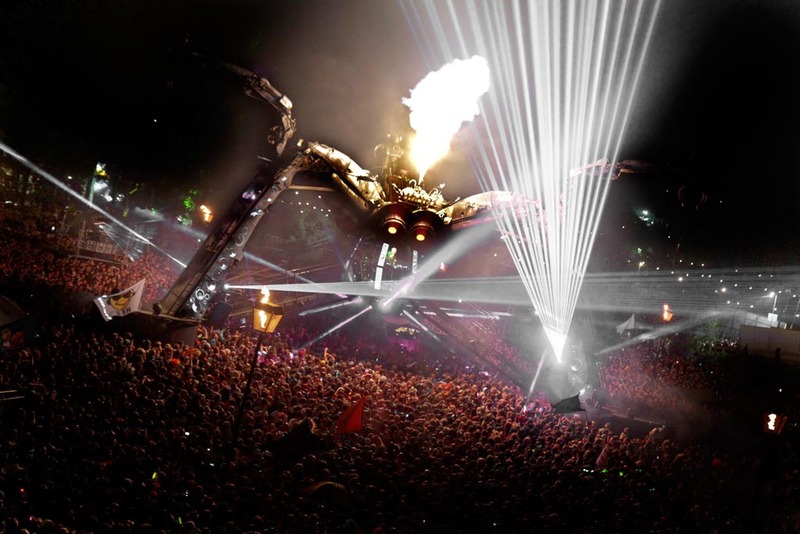 Arcadia’s most famous stage is the Spider, weighing over 40 tons. Besides flame cannons and other pyrotechnical and lighting effects, the Spider is equipped with three laser systems of the Pure Sapphire Series from Laserworld, each one with an output power of up to 9W. 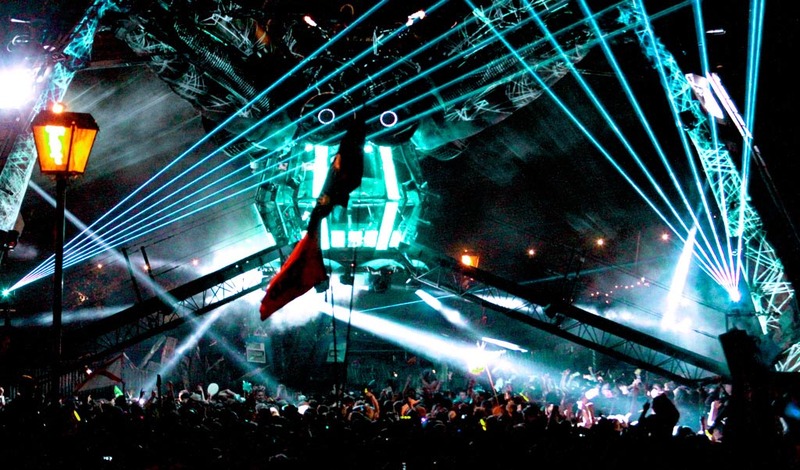 The following pictures were taken at the BoomTown Fair 2013 and the famous Glastonbury Festival 2013 in the southwest of Great Britain, where some famous DJs performed nearly 10m above the ground in the Spider’s DJ booth - among them Fatboy Slim, Andy C, Plump DJs, Ratpack and DJ Die. The lasers were operated by Jonny Wilson and Martin King.